. I have been working on his DVDs ever since, but I’m not taking it too seriously. I haven’t got a plan in place nor a goal of how much I want to lose. This is something I would like to change in 2016. For the past year, I have been exercising using P90X3’s lean schedule, around 3 to 4 times a week, and I have lost a ton of weight. But, I never had any tracking device or heart rate sensor to actually monitor the weight that I was losing and how fit I was actually getting. I really wanted to know how many calories I was burning after one workout session and I didn’t trust the weighing scales, as I was flitting back and forth between 61 and 64kg, depending on weight and muscle gain. I looked like I was getting smaller, but my weight didn’t seem to reduce that much. Then, something magical happened. 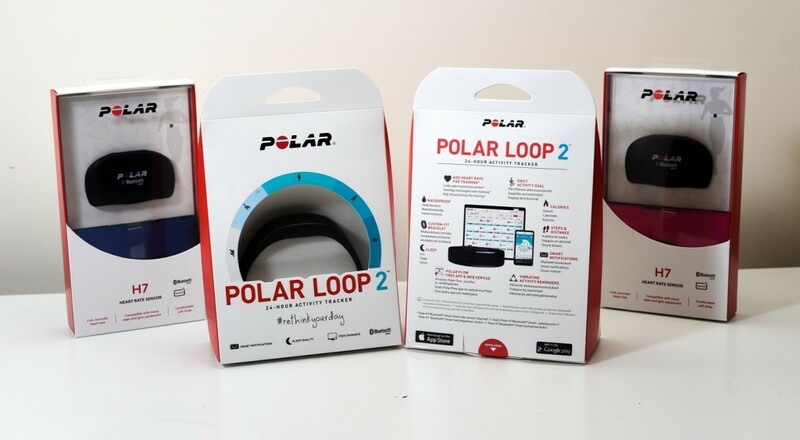 I was offered the chance to review the Polar Loop 2 and Polar H7 Heart Rate Sensor (worth over £250), which claims to do everything that I wish for. 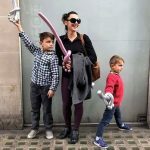 Polar and TOTS100 are working together with bloggers like myself to review their new fitness tech gadgets in the run-up to Christmas and the New Year. 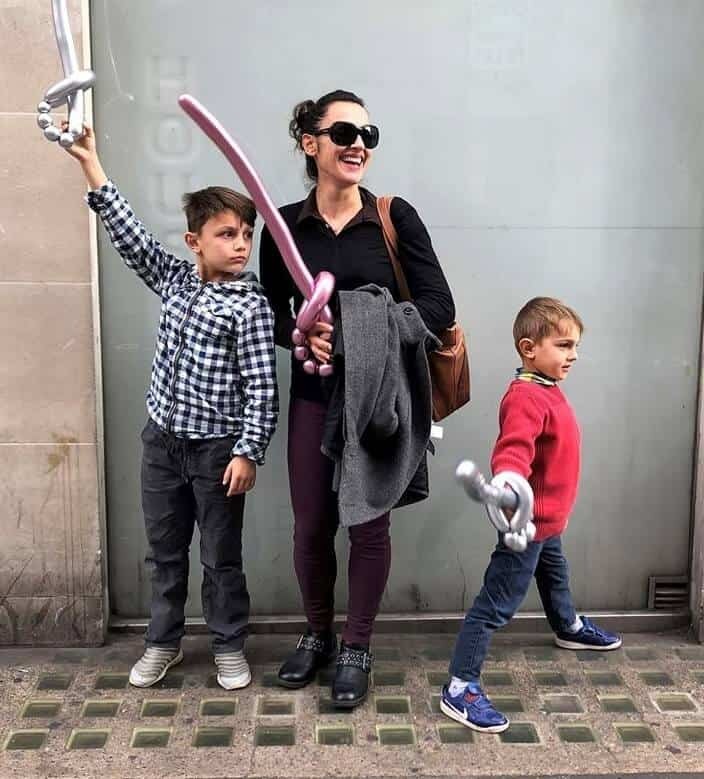 I received two Polar activity trackers and heart monitors to try out with my husband in order to encourage us to be more active and have fun with the family, resulting in feeling healthier all-round. Do activity trackers encourage you to be more active? 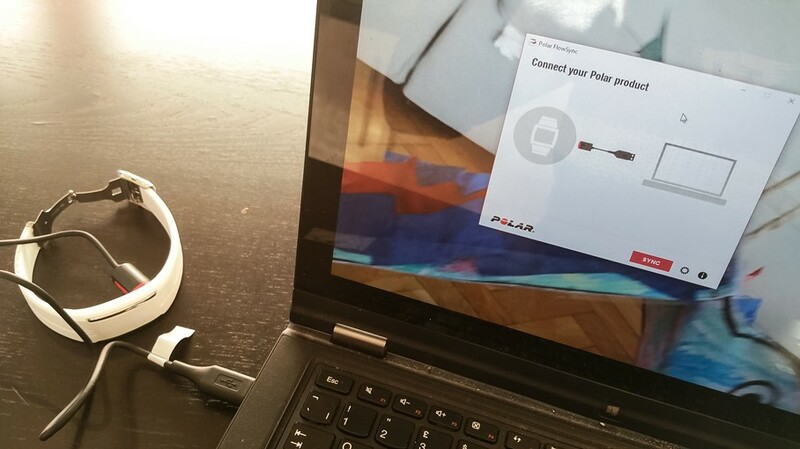 P.S – This post also includes a detailed guide to setting up the Polar Loop 2 and H7 Heart Rate Sensor and how to sync both devices with your PC/MAC and smartphone. I also include December’s fitness activity, which is the first of a 3-part series that documents my fitness levels and, indeed, answers the question of whether activity trackers do encourage you to be more active. You will find Part 2, January’s activity, at the end of January. Part 3 will come out at the end of February. P.P.S – Watch out for a competition post for your chance to win a Polar Loop 2 and H7 Heart Rate Sensor. 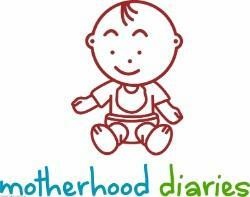 I will be hosting a giveaway on Motherhood Diaries at the end of February, which means we can all get fit and active together! You can check out the specs and features online here. When you open your Polar Loop 2 packaging, you receive quite a few parts, as well as various manuals. The first thing you should do is weed out the manual that is in your language (you’ll find that it’s just one concertina folded leaflet) and throw away or store the rest. The process is quite a long-winded one, so you don’t need them around to confuse you. You will then find one bracelet (I went for the white), a USB magnetic charging cable, around key for customising the bracelet and some spare pins (you’ll see what I mean by these in just a tick). The first thing you’ll need to do is read your leaflet. Yes, I encourage you to read the instructions otherwise you’ll be faffing about, trying to figure out how to customise your bracelet. They arrive in an XXL size! 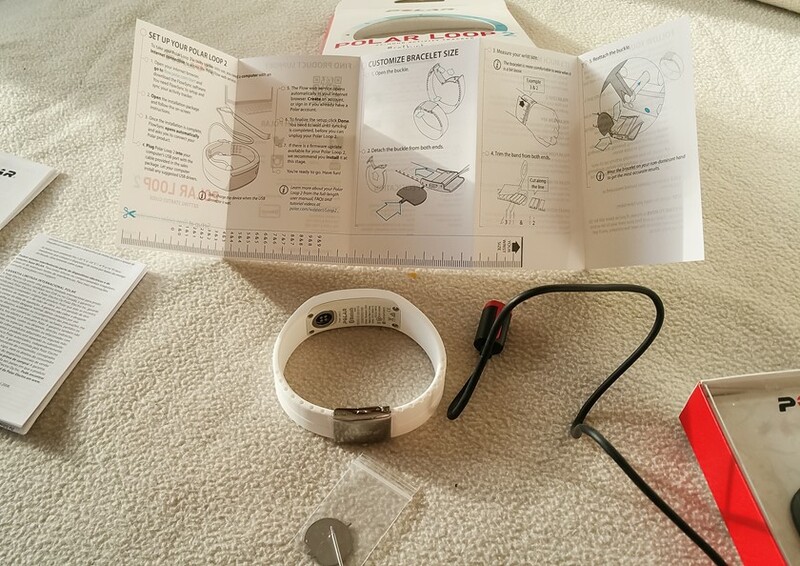 You will receive instructions to first set up your Polar Loop 2, but I decided to customise my bracelet first. 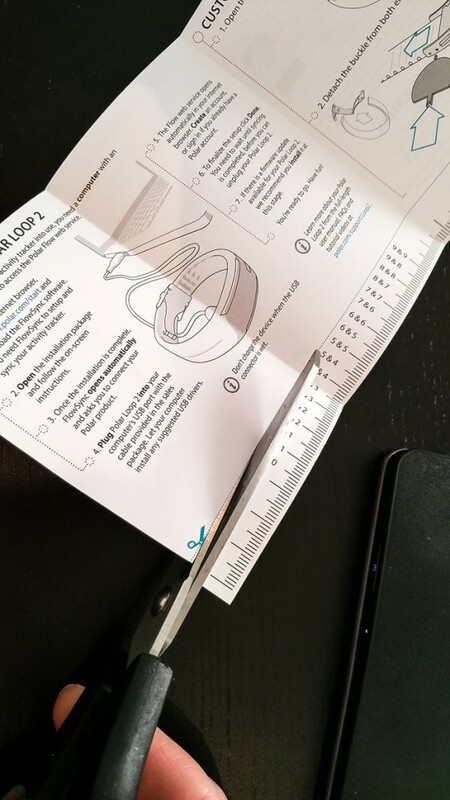 The enclosed manual rather helpfully includes a paper measuring tape, which you will need to cut out and place around your wrist to find out your measurements. It turned out that my wrist measures at “5&4”. So, I needed to customise my bracelet to 5&4. Sound a bit strange? Well, it really just means that I cut five of the grooves on one side of the bracelet and 4 on the other side. Open the bracelet’s buckle and detach the buckle from both ends. It would be easier to use that round pin to push into the holes of the buckle and dislodge the pins. 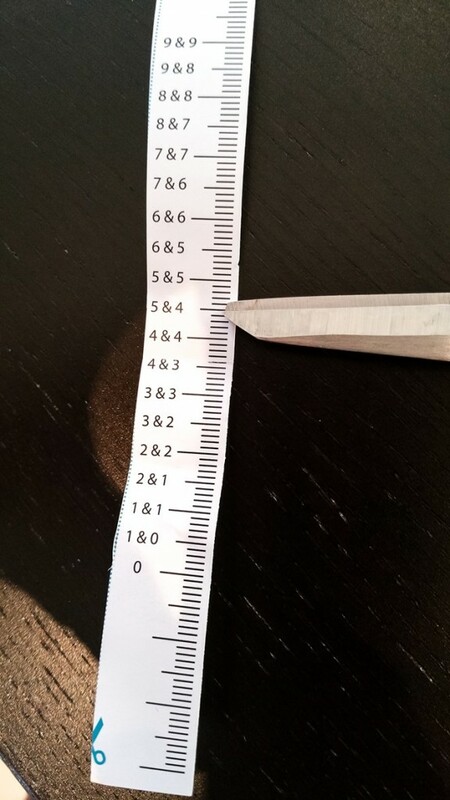 Measure your wrist size as shown above, by placing the measuring tape over your wrist. Bear in mind that the bracelet is more comfortable when it’s a bit loose. 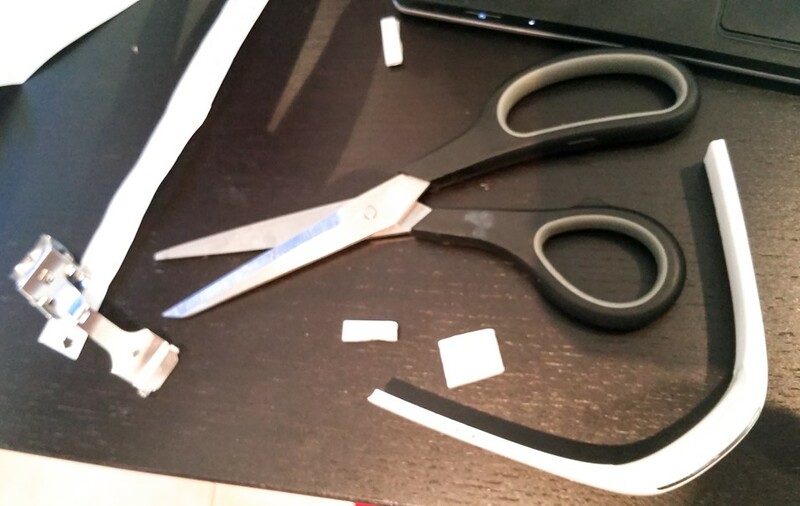 Trim the band from both ends, by cutting along the lines. In my case, I cut 5 of the lines on one side and 4 on the other. The tricky part is reassembling the buckle and the pins. It took me a while, but, painstakingly, I got there in the end! The image of the leaflet above has illustrations on how to follow the above steps, hence why reading the instructions beforehand is advisable. 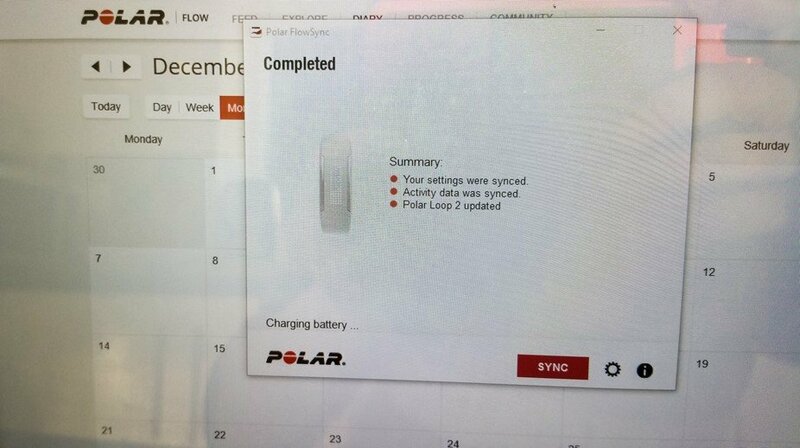 2 – Open your internet browser, head over to flow.polar.com/start and download the FlowSync software. 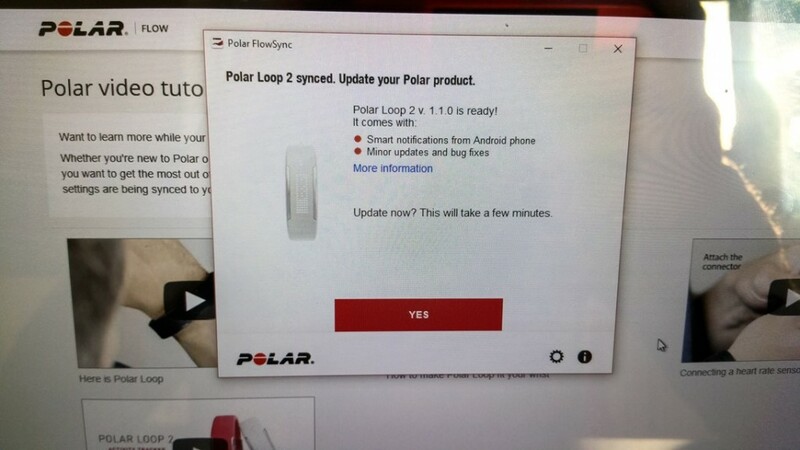 Follow the on-screen instructions and once the installation is complete, FlowSync will open automatically and ask you to connect your Polar Loop 2. Be warned, it’s quite a long process! 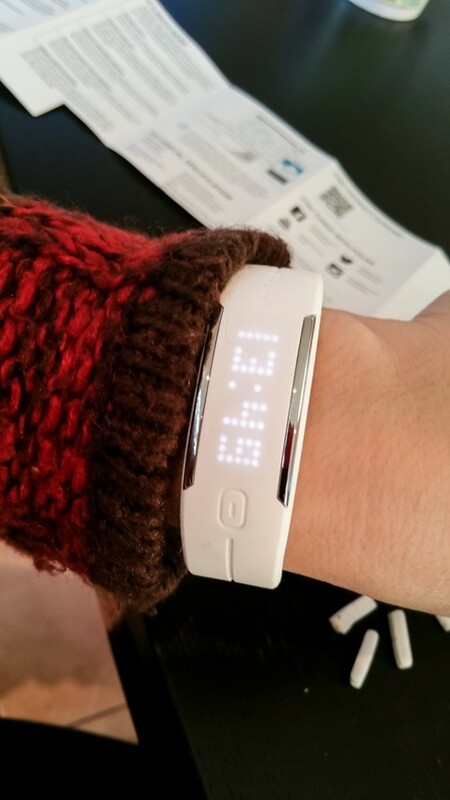 3 – Now connect your Polar Loop 2 using the magnetic charging cable, which has a USB on one side and around magnetic port on the other that connects to the inside of the bracelet. It’s quite sensitive, so no need to use any force here. There is a ridge on one side of the port, which secures the connection. 4 – Your computer will now start to install any suggested USB drivers it needs and then automatically open up the Flow web service in your internet browser. 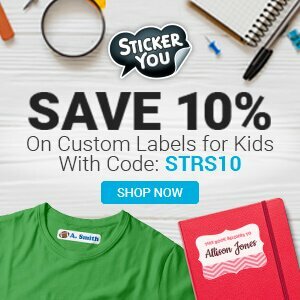 Now, it’s time to create your unique profile! Now you’re ready to sync all your information to your Polar Loop 2. Once you’re done, you’ll receive a pop-up confirmation, which means you’re now ready to disconnect and wear your bracelet. Always update your Polar Loop 2 when Polar Flow suggests as such, like below. The whole set up process takes quite a while, but it’s worth it, as you won’t need to do it again and you’ll be synced to all online Polar Flow activity, which is awesome! For the Polar Loop 2 to work, it needs to touch your skin. Also, its water resistant and can be worn underwater (but, I’m still too scared to do this, so I take it off before I shower). TIME: The time is automatically set and updated when you sync to the internet. 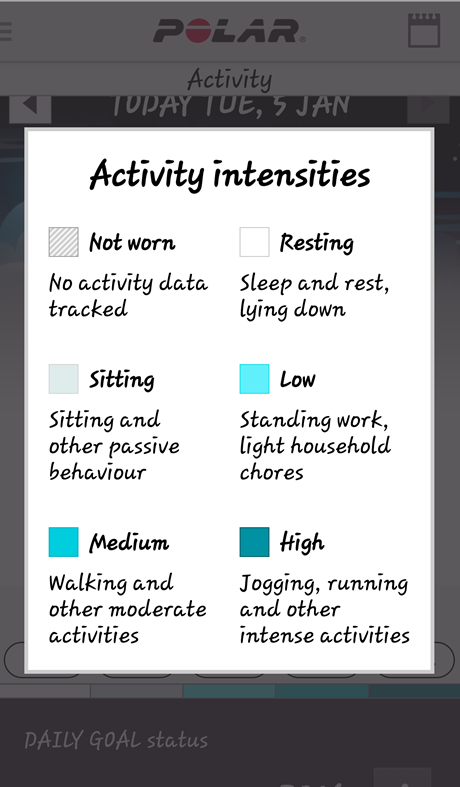 ACTV: This stands for activity, which shows the battery status and loops through how much more of each activity you need to do to reach your daily goal, i.e. ‘JOG’, ‘WALK’, ‘UP’. CALS: How many calories you have left to burn to reach your daily goal. Now, let’s dig into how the whole Polar Flow web service works for us! Once you have set up your profile and synced your Polar Loop 2 bracelet to your personalised information, you will be taken to a diary page, which should look empty to start off with. Time to fill out some more personal details, this time adding a profile picture and whether you’d like to share your progress on social media. Next, you fill out your three favourite sports, your all-time motto (mine is, “There’s always a Plan B”) and your notification settings and you’re good to go. So, as you can see, I haven’t been as active as I should be in the run-up to Christmas. My husband’s parents came to stay just before Christmas and then I had to host Christmas dinner for 17 people, for the first time ever. I ended up eating more than my body’s fair share of food (including dessert). From 27th December, my friend came to stay for a few days and so I did no exercise whatsoever, except I did manage fit in some exercise on 31st December before the New Year celebrations took over. 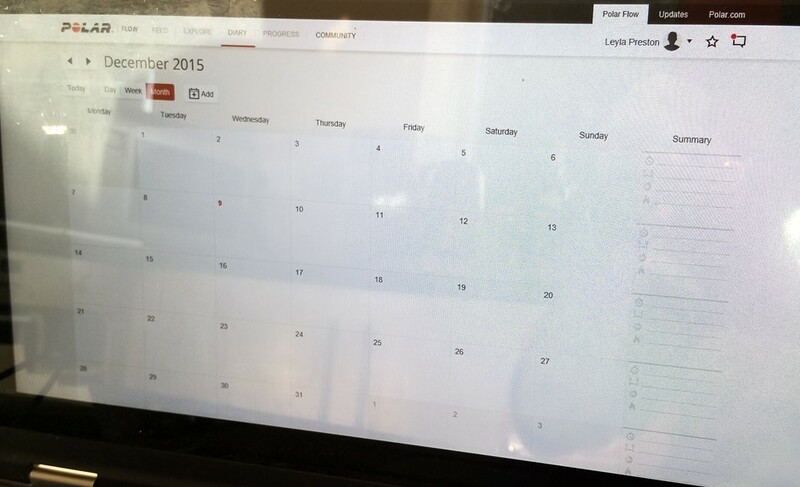 So, to understand what all these entries mean on the calendar, we first need to set up our Polar Loop 2 with our smartphone (in my case the Android version, Samsung Note 4) and then, finally, hook up our Polar Loop 2 and our smartphone to the H7 Heart Rate Sensor for an all-around activity tracker. This will provide you with the information that you can see above for my December activity. As I only have an Android phone, I will list the steps it takes to sync an Android phone to the Polar Loop 2. I’m pretty sure that the steps are very similar to an iPhone, but please check the instructions in the online manual provided. There are two apps you can download from the Google Play Store. 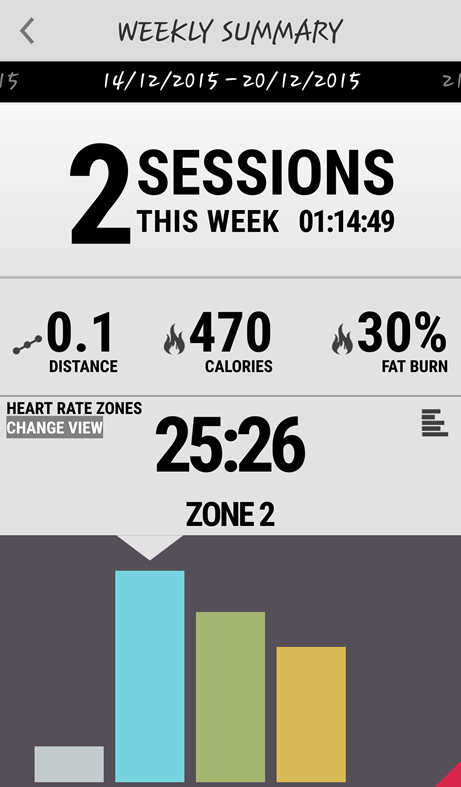 These are the Polar Flow – Activity & Sports app and the Polar Beat – Fitness Coach app. This is the main app to use on your phone, which accompanies the Polar Loop 2 (and other Polar devices). You will need to ensure that you have a compatible smartphone that uses Android 4.3 or later. 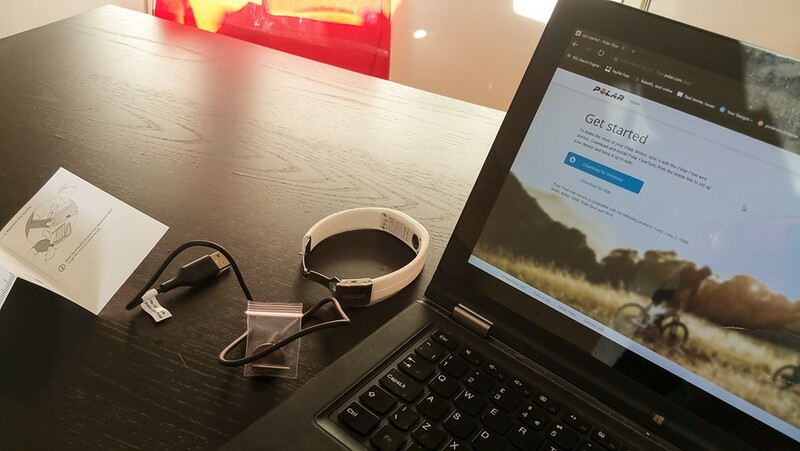 You will be able to follow your training and activity just as you can with the Polar Flow web version and wirelessly sync up your Polar Loop 2 to see all your achievements on the go. You can also sync your Polar Flow web service (above) to this app, so they are both updated with the same activity. Open the app and sign in with your Polar account that you just created above. Wait for the ‘connect device’ pop-up to appear. Press the button on your Polar Loop 2 to pair it with the app. Wait for the Loop display to turn off so that synchronisation can begin. 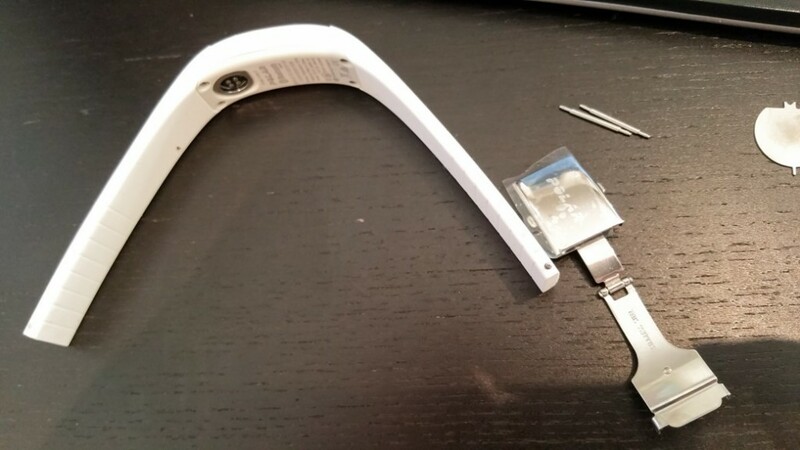 A few tips on successfully pairing first time (as it sometimes can be a bit tricky), bring the Polar Loop close enough to the phone and look out for a moving arrow, which will show you that pairing has succeeded. 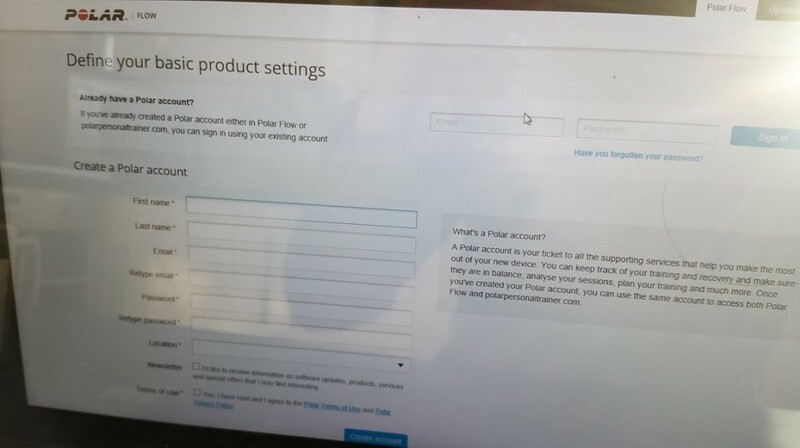 Now your account settings should all be synchronised with your Polar Flow web service and your bracelet. Once synced, the Polar Flow app services show you your ‘Feed’, i.e. any training you did that day, active time, calories burned and steps taken. 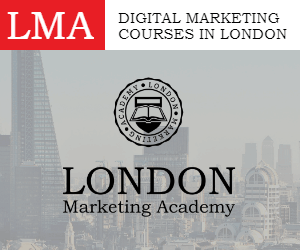 You also receive a percentage of what you achieved towards your goal. You can then find out how many calories you burned that day, how long you’ve been active, the steps that you have taken and how long you have slept restfully. You can input your weight here too, if it changes, and find out whether you received an ‘inactivity stamp,’ i.e. if you haven’t moved enough. I have received two inactivity stamps so far. Next is your training diary and for that, I will need to tell you how to set up your H7 Heart Rate Bluetooth Sensor and download the Polar Beat app to complete the setup. 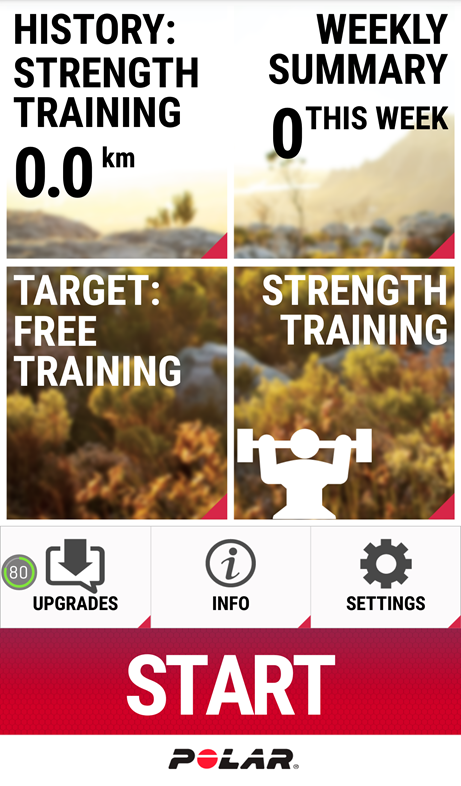 The Polar Beat app is all about being your training companion. 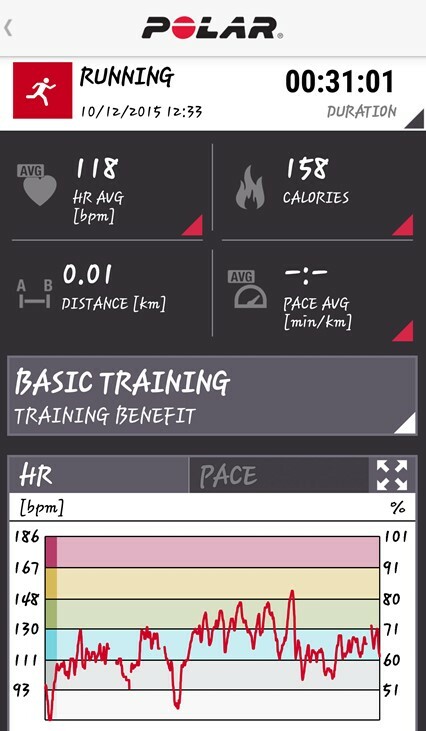 Whether you are serious about running more, getting in some strength training at the gym (or, in my case, at home with Tony Horton’s P90X3 DVD series) or gentle yoga for recovery, the Polar Beat app is perfect for monitoring your heart rate and calories burned* and how fit you are becoming health-wise. It interprets quite accurately your workout data, so you’ll know what your body has achieved and what to do to meet your goals more effectively. Choose your activity – Polar Beat can be used for pretty much any exercise, indoors or outdoors. 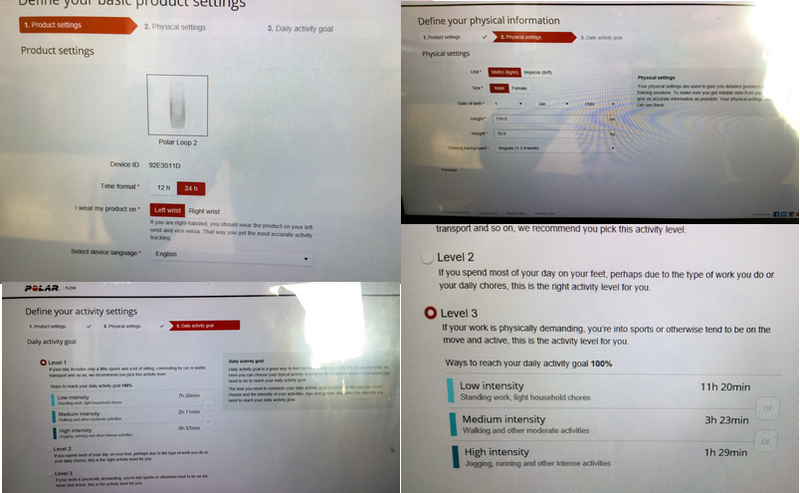 Polar Fitness test* – Measure your fitness levels while you lie down and relax! 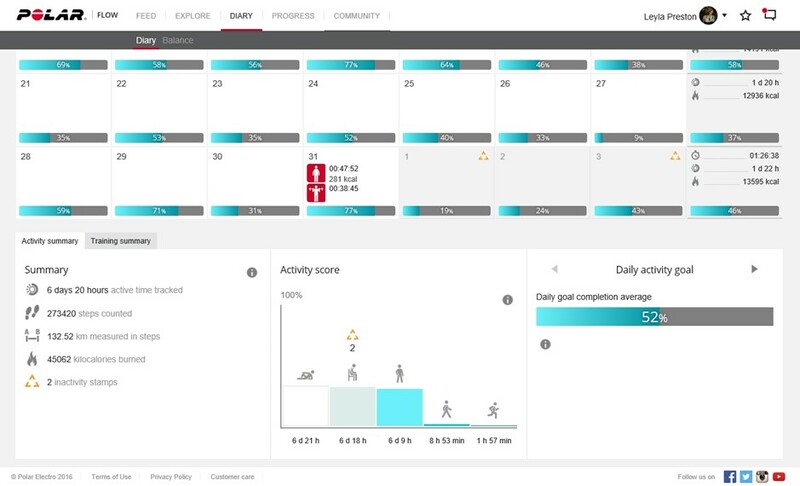 Running Index* – Shows how your running performance is developing. 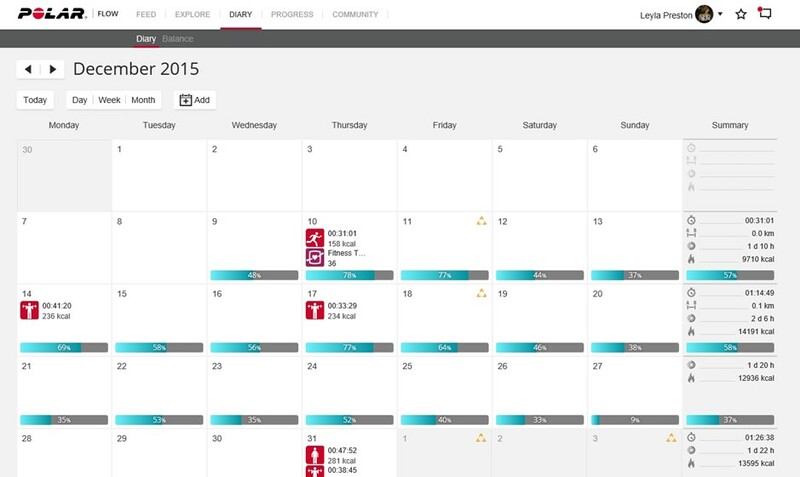 EnergyPointer* – See the main effect of your workout in real-time – whether you’re burning fat or improving fitness. Benefit Target* – Set specific training targets – like boosting recovery or improving endurance – and get guidance to achieve it. *For best results, you need to hook the Polar Beat app up to your Polar Bluetooth Smart Heart Rate Sensor. 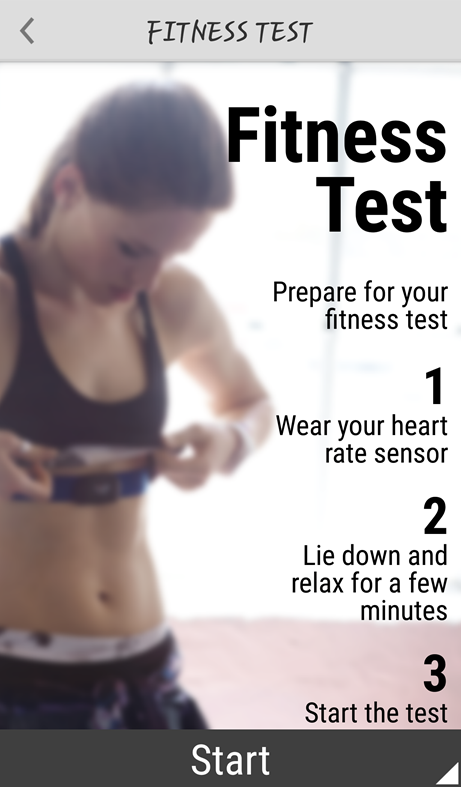 It is very simple to set up your H7 Heart Rate Sensor. You receive one strap (in my case, a pink strap) and a Bluetooth heart rate connector. The plastic electrode area on the back of the strap detects the heart rate and the connector sends the heart rate signal to the receiving device, in our case the Polar Loop 2 bracelet. Adjust the strap length so it fits tightly, but comfortably and then tie the strap around your chest, just below the chest muscles. Then you simply connect the Bluetooth connector to the straps and you’re ready. You will first need to pair the Heart Rate Sensor with Polar Beat, which is very simple to do. Follow the instructions given and then you should see your heart rate blinking on the screen and your Polar Loop 2 device. I started with the Polar Fitness Test after upgrading my Polar Beat package, which is literally just lying down really still for 5 minutes whilst the Polar Beat app works with the heart rate sensor to determine how fit you are. I started right at the very beginning of my Polar training journey and I’m ‘Moderately fit’, so I’d like to boost that to high/athletic by the end of the three months. After use, detach the connector from the strap and rinse the strap under running water. Sweat and moisture may keep the electrodes wet and heart rate sensor activated, which will reduce the transmitter battery life. You can find more information on the H7 Heart Rate Sensor and how to look after it online. Your settings on the Polar Loop 2 are now completely personalised and unique to you only. You will still have all the display features as explained above, but there are some few added gems now that you’ve hooked up your phone and heart rate sensor to your Polar Loop 2 bracelet. When you have your H7 Heart Rate Sensor in place, ready for a training session, your bracelet has an additional setting, it displays your heart rate! You can be sitting still or running around, but it’s very helpful to monitor your heart rate, even when you’re not by your phone or computer. 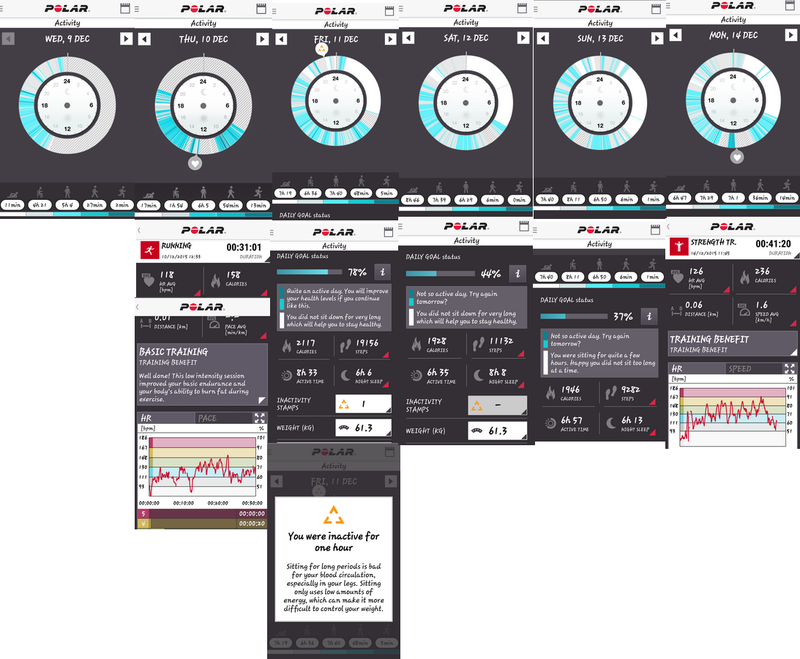 So, now that you are completely set up, you should now know what all the entries mean on your Polar Loop 2, Polar Flow web service/app version and your Polar Beat app. 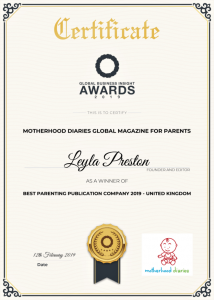 If not, you’re welcome to email me any questions you have (leyla@motherhooddiaries.com), as I’ve become quite a fanatic now and I am madly in love with the Polar Loop 2 and H7 Heart Rate Sensor Bluetooth bundle. I do believe that it has, indeed, encouraged me to be more active and I even noticed hubby doing some stretches earlier, whilst examining his black ‘manly’ Polar Loop 2 version. So, there’s progress all-round! 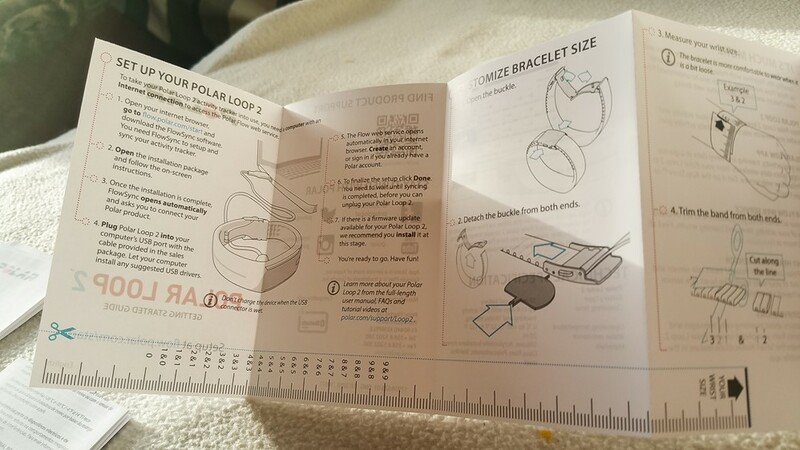 You can also learn more about your Polar Loop 2 from the full-length user manual, FAQs and tutorial videos at polar.com/support/Loop2. It has been difficult to stay fit and active during the Christmas and New Year festivities, but January is all about positivity and getting serious about becoming fit and healthy. 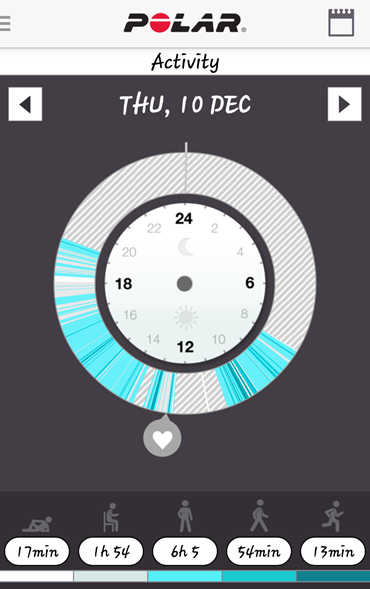 I really like the motivation messages I receive from Polar to summarise how active/inactive I’ve been that day and how I have benefited my heart and health in general. You can find these messages in the December activity images above. In January, I hope to read more messages like the one I received on Thursday 17 December. I’m going to start sharing my fitness journey on Facebook and Twitter, so please join me, tweeting @M_Diaries your results and using #rethinkyourday. Let’s spur each other on to get more fit, active, healthier and happier with the family in 2016. I know what my resolution is for this brand new year. What is yours?